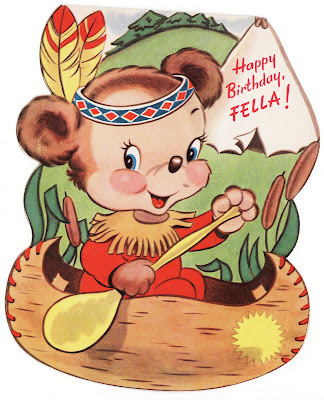 An adorable and friendly vintage birthday card that I gave to the mister for his birthday last week. You can find a post and a recipe about the birthday celebration here. And "Happy Days" to YOU!